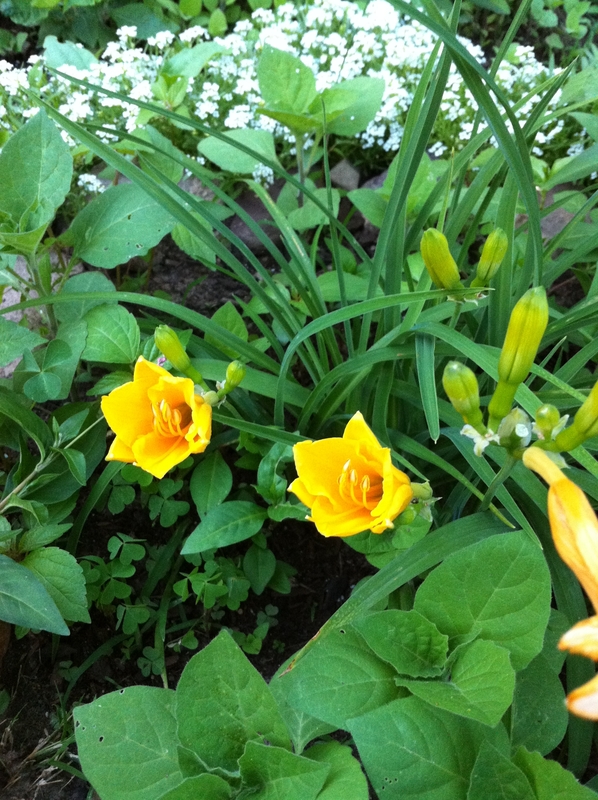 For the first of summer, my garden yielded this hello: day lilies in beautiful bloom. These were carried to my Brooklyn garden by my sister’s hand, arriving unscathed after a 19-hour trek across country (we won’t mention how the people members of the family fared). I snapped this photo on my way to work, as I was rushing out the door this morning. It was a happy summer solstice moment. QUESTION: how did the world say happy summer to you today? Those are beautiful, Sweetheart. You really do have a ‘green’ finger…. Aw, thanks! But the real thanks goes to the awesome people who got them here! You guys are the bestest!